We believe the men in this community are forging a brave future for us all. 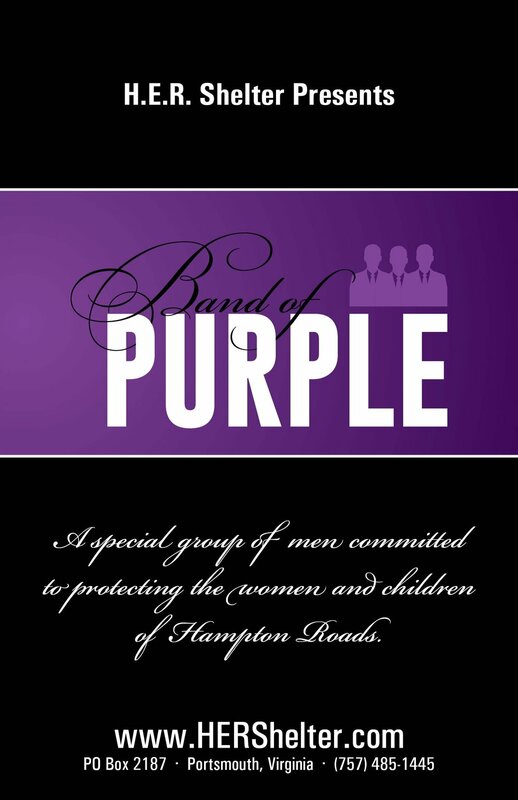 The Band of Purple are those that actively support protecting the women and children of our region through the work of the H.E.R. Shelter. Nominate an honoree to stand up and be counted! This giving circle is making a difference in Hampton Roads.